Cummins India Limited which is the country's leading manufacturer of diesel and natural gas engines is one of the eight legal entities of the Cummins Group which is existing in India. It comprises of four business units and also Industrial Engine, Power Generation, Distribution, and Automotive. 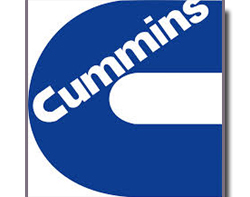 Cummins India Limited is also the largest entity of the Cummins Group in India. The Industrial Engine Business has been catering to the industrial sector with its broad spectrum of diesel engines ranging from 65 HP to 3500 HP. The range is designed to power varied market segments such as Construction, Mining, Compressor, Marine, Rail, Agriculture, Pumps, Oil & Gas, Power Generation and Defence. The Power Generation Business addresses standby and prime power needs through the design and manufacture of pre-integrated generator sets, transfer switches, paralleling equipment and controls. The Automotive Business integrates Cummins' diesel and natural gas engines with related technologies such as filtration, exhaust, turbo, fuel and coolant systems and lube oil to serve the commercial vehicle segment in India. Corporate Responsibility is one of the six core values of Cummins. Committed to strengthening of the the communities, the Group channelizes its corporate responsibility efforts through the Trust, Cummins India Foundation (CIF) founded in 1990. It focuses on three areas: Higher Education, Energy and Environment and Local Community Development. Cummins' presence in India stems from a joint venture incorporated in 1962. The ground was broken for a factory in Pune the same year and the plant began manufacturing engines at the beginning of 1964. In 1997, Cummins Inc. increased its stake to 51 percent with the rest being traded on the Bombay Stock Exchange (BSE) and National Stock Exchange (NSE). 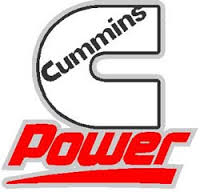 With the increase in stake, this particular joint venture became a consolidated subsidiary of Cummins Inc. By the year 2004, Cummins had formed multiple legal entities in India including joint ventures. Today, eight legal entities of the Group represent all of the Cummins global business units. Having expanded its business across markets and geographies, the Group spans 200 locations in the country and employs more than 14,500 individuals. Cummins in India reported combined sales of approximately Rs. 11,560 crores in 2012. Cummins named to the Dow Jones Sustainability Index in the year 2012 for an eighth consecutive year. The index represents the top 10 percent of the world's most sustainable companies rated by Dow Jones over a range of economic, environmental and social responsibility factors. The Company was named to Newsweek's Top 500 Green Rankings list announced in 2012. The Company finished 64th in the magazine's U.S. rankings and 134th in the global rankings. That was up 108 spots over the Company's ranking in 2011. Tata Cummins Limited in India have won the 13th Annual Greentech Environment Award in the silver category of the automobile sector in 2013. The award by the Greentech Foundation recognizes the best practices for effective waste management and water conservation. Cummins was named very much Sustainability Supplier of the Year by Chrysler Group LLC during its Annual Strategy Meeting and Supplier Awards Ceremony in 2012. The Company was honored for its all around approach to sustainability, including its extensive environmental efforts. Cummins was named to the Civic 50, a list of companies that "best use their time, talent and resources to improve the quality of life in their local communities and beyond" in 2012. The list is compiled by Bloomberg, the National Conference on Citizenship and the Points of Light Foundation. Cummins ranked 25th on the list. The Company was again named one of the World's Most Ethical Companies by the Ethisphere Institute in 2013. The Institute evaluates companies hardship and commitment to ethical leadership, compliance practices and corporate responsibility. This was the sixth consecutive year Cummins was named to the list. Corporate Responsibility magazine named Cummins to its 2012 list of the world's 100 Best Corporate Citizens. It was the 12th time in the last 13 years that the Company has been named to the list. Cummins was named one of the Top 50 Companies for Diversity by Diversity Inc magazine for the seventh consecutive year in 2013. Cummins ranks 15th on the list, up from 18th rank in 2012. For the eighth consecutive year, Cummins was awarded a perfect score in the 2013 Corporate Equality Index by the Human Rights Campaign (HRC), the largest U.S. civil rights organization for most of the lesbian, gay, bisexual and transgender (LGBT) employees. The Company was recognized for offering equivalency in spouse and partner benefits, health coverage for transgender individuals, competency training and accountability measures for new hires and supervisors, and more. Cummins India Limited was honored with the Helen Keller award for its commitment to hiring people with disabilities (2008). Glassdoor Inc., a website that ranks employers, named Cummins to its annual list of the "Best Places to Work" in 2012. Cummins ranked 20th on the list, which is developed from anonymous employee feedback and input from employers. Cummins was named Corporation of the Year in 2012 by Minority Supplier Development China, which links large corporations and ethnic minority-owned businesses. In the United Kingdom, Cummins was runner up for "Corporation of the Year" by Minority Supplier Development U.K. Cummins India was named Best Employer for Women in Corporate India by the WILL Forum in 2012. The Company shared the award with five other corporations, but was the only winner in the manufacturing category. WILL evaluates companies for their practices and policies for women. Cummins was named to the 2012 Information week 500, which is an annual listing of the nation's most innovative users of business technology. Cummins last received this honor in 2007. InformationWeek had identified and honoured the nation's most innovative users of information technology. Computerworld magazine had selected Cummins Information Technology in the year 2012 as one of the Top 100 places to work in Information Technology. The list is compiled annually based on a comprehensive questionnaire covering things such as benefits, diversity, career development, training and retention. Cummins was ranked 28th. Cummins was named one of 145 "Most Honored" companies by Institutional Investor magazine in 2012. The Company was been rated by buy-side and sell-side analysts participating in a survey. Almost 2,000 companies received votes. Cummins was ranked top in its category. The Motley Fool, a website for investors dedicated to building the "world's greatest investment community" online, with a special focus on individual investors, named Cummins at the top of its 2013 list of the 25 Best Companies in America. Companies were evaluated for their success in "serving investors, customers, employees and the world at large. Cummins Turbo Technologies (CTT) got the Best Supplier Award from Ashok Leyland at the Suppliers Conference held in April 2013 for 'New Product Development'. In 2012, CTT had received the award in the Best Supplier in the 'Co-location' category. Cummins Emission Solutions got the Best Supplier Award from Ashok Leyland at the Suppliers Conference held in April 2013 as 'Best Debutant'. Cummins Automotive Business received the 'Long Association Award' for its continued support and association since 2005, by Asia Motor Works. The Business also got the 'Tata Motors Technology and Innovation Award 2012' for outstanding contribution in developing the CNG Series hybrid systems. In the year 2012, Cummins received the Engineering Export Promotion Council's National Award in the category of 'Engines, Turbines and Parts: Large Enterprize' for the 24th successive year.